Napoleon’s only legitimate child, Napoleon François Charles Joseph Bonaparte, also known as the King of Rome, Napoleon II or the Duke of Reichstadt, was born at the Tuileries Palace in Paris on March 20, 1811. You can read my post about his life here. His birth was a touch-and-go affair. 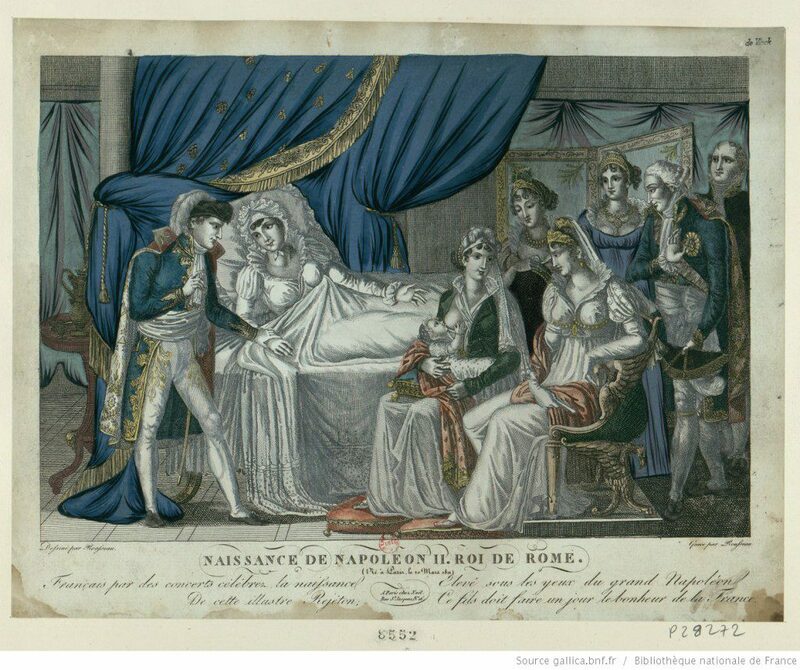 The attending doctor, Antoine Dubois, feared that either Napoleon’s wife Marie Louise, or the baby, might die. Here’s how Napoleon described the King of Rome’s birth when he was in exile on St. Helena. I gave Dubois a hundred thousand francs for his services as accoucheur at the birth of my son. It was on Corvisart’s recommendation that I employed him. I had better have taken the first accoucheur that came to hand. The day the child was born the Empress had walked some time with me. Her pains were coming on, but they did not think the birth would take place for four hours. I took my bath. While I was in it, Dubois rushed to me in great excitement, pale as death. I cried out, ‘Is she dead?’ – for as I have been long accustomed to hear of startling events, they do not take great effect on me when first announced to me. It is afterwards. Whatever might be told me I should feel nothing at first. An hour later I should feel the blow. Dubois assured me no – but that the child was not coming to the birth in the usual way. That was very unfortunate. It is a thing that does not happen once in two thousand cases. I rushed at once to the Empress. She had to be moved onto another bed that they might use instruments. Madame de Montesquiou reassured the Empress, telling her that the same thing had happened twice to herself, and encouraged her to let the doctors do what they thought necessary. She screamed horribly. I am not naturally soft-hearted, yet I was much moved when I saw how she suffered. Dubois hardly knew what to do, and wanted to wait for Corvisart. The Duchesse de Montebello acted like a fool. When the King of Rome was born it was at least a minute before he gave a cry. When I came in he was lying on a coverlet as if dead. Madame de Montebello wanted to follow out all the rules of court etiquette on the occasion. Corvisart sent her off at once. At last, after much rubbing, the child came to himself. He was only a little scratched about the head. The Empress had thought herself lost. She had persuaded herself that her life was to be sacrificed to save that of the child. But I had given orders quite to the contrary. 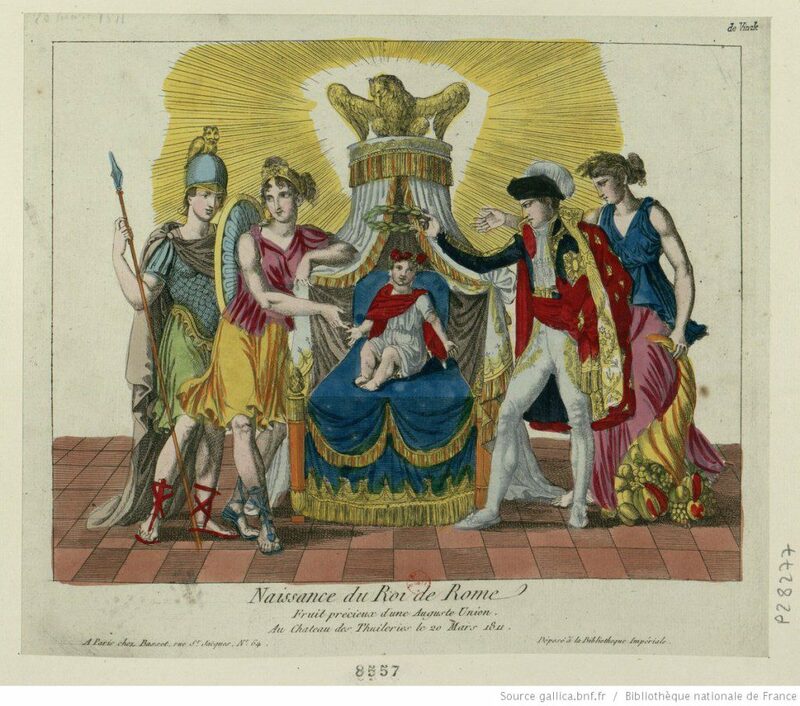 Napoleon’s private secretary, Baron Claude François de Méneval, provides a more detailed account of the King of Rome’s birth. The first pains had been felt on the evening before – March 19th, 1811. They were endurable until daybreak, when they ceased altogether, and Marie Louise was able to get to sleep. Napoleon had spent the first part of the night by her bedside; then, seeing that she had gone to sleep, he went up to his rooms and took a bath. The members of the Imperial family, the grand dignitaries, the principal officers and ladies of the Court had been summoned to the place as soon as the first pains had been felt. But, towards five o’clock in the morning, the accoucheur, M. Dubois, being of opinion that the birth could not take place for another twenty-four hours, everybody had been sent away by the Emperor…. An hour after Napoleon had returned to his apartment, the Empress woke up in such pain that a speedy delivery was expected. Doctor Dubois, however, saw that the birth would be a very difficult one, and that this was one of the least frequent and most dangerous cases. The Emperor was in a state of perfect serenity when M. Dubois suddenly opened the door and, in a great state of dismay, announced that the first stages of the accouchement were giving him the greatest anxiety. Without waiting to listen to the explanations which the doctor began to give, Napoleon cried out, from the bottom of his heart: ‘Above all save the mother.’ Then springing from his bath he hastily wrapped himself in a dressing-gown and ran downstairs to the Empress’s room, followed by Dubois. 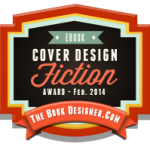 He approached the bed and hiding his anxiety embraced her tenderly, and encouraged her with words of comfort…. [Dubois] had asked that some leading physicians should be called in for a consultation. The Emperor had refused, telling the doctor that he had chosen him because he trusted him, and that the Empress was to be treated just as if she were the wife of any ordinary man. Dubois commenced the painful operation with the skill and the sang-froid which he happily possessed. The labour did not proceed, the child presented itself legs foremost. The pains of the Empress increased in intensity. She was struck with terror, and cried out that they meant to sacrifice her. Dubois saw himself forced to use the forceps to free the child’s head. Gaspard Gourgaud, Talks of Napoleon at St. Helena, translated by Elizabeth Wormeley Latimer, 2nd edition (Chicago, 1904), pp. 152-153. Claude François de Méneval, Memoirs Illustrating the History of Napoleon I From 1802 to 1815, Vol. 2, (New York, 1894), pp. 382-386. Fascinating Shannon. I love how all the details match in the descriptions of the birth. Poor Marie Louise! Thanks, Susan. I was hoping I could find an account from Marie Louise’s perspective, but no such luck. It must have been extremely hard on her. At least it didn’t deter her from having children with Count Neipperg. This Sunday, March 20th, I’ll be celebrating the 205th birthday of Napoleon II. with cake & champagne. It’s a miracle he lived and that his mother survived! Long live the memory of the King of Rome! May he never be forgotten. Thanks Shannon. What a lovely idea, Jean. I’ll raise a glass as well. Napoleon said of his marriage to Marie Louise that he was “Marrying a womb”. Her father, Francis I, essentially “pimped” his daughter in order to bring some sort of truce between Austria and France. (Per Metternich’s good advice.) Marie Louise was just a teenager when she married Nap. But he needed a fertile, virgin womb to create an heir. In the end she had it GOOD compared to the marriage her Father soon after arranged for her little sister, his youngest daughter Leopoldine. At age 17 (?) he shipped her off to Brazil to marry the future Emperor of Brazil … because her father wanted a foot hold on that rich country. She left home forever, never to see family again and married a brutal man, a pervert, who relished beating women. She died in childbirth after delivering several children (about 10 or 12?) all about 9 months apart since he raped her repeatedly. Her father, the “awesome” head of the Habsburg Royal family, Emperor Francis I of Austria, also pimped his youngest daughter as yet another “political womb” as he did with Marie Louise. When I read the bio of Leopoldine I wept out loud. Wives and daughters were mere chattel in many royal households. Talk about the subjugation of women! When Nap’s son came to live in Austria under guardianship of his grandfather Francis I, his young Aunt Leopoldine (then about, age 14) loved him and took her under her wing. Then she was sent to Brazil by her father to be repeatedly raped and beaten by her husband. Before she left for Brazil she wrote Marie Louise and promised her older sister that she would always look after her young son N2, who she had come to love. And after her death, she (as Empress of Brazil) left Nap II a good fortune. God bless that dear, sweet girl. The fortune she left to Nap II, which after his death in 1832 was turned into the “Leopoline Association” in her honor, which was (oddly) spent to support priests in pioneer Indiana, Ohio, Kentucky, and elsewhere in the USA … money used for the establishment of Catholicism in the United States. How very good of the Hapsburg empire (the former “Holy Roman Emperor”) to provide such aid to those they had exiled, or escaped from Austria to the USA. The story of dear Leopoldine is one of the saddest I have ever read. Francis I makes me sick. He was a pervert himself! Check it out – the story of Leopoldine. It might make a good next book for you Shannon. Someone needs to honor her more than her own father ever did. God Bless her memory. What a horrible tale! I had no idea about Leopoldine, Jean. Thank you for letting me know. It does sound like her life would make a very good, and very sad, novel. Napoleon II was a most unfortunate boy. The condition of Napoleon II was miserable, since his mother Marie Louisa was staying in her father’s (François, Austrian king) palace, the boy was uncared for by his grandfather. Metternich played a villainous role, hence the child Napoleon II became sensitive. His mother was ruling a few territories of Austria. Knowing all her weakness, Metternich arranged her remarriage with a brave military officer Neipperg, who had wife and 2 children, always demanding Marie Louisa to place his sons as next successors to the throne. In this political & family turmoil, Napoleon I died at an young age. At last the body of son & father Napoleon were buried at Hotel de Invalides beside the Seine River. Thanks, Vijaya. Napoleon II really did have a short and unfortunate life. 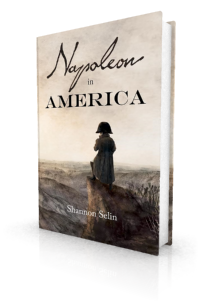 I wrote about his years in Austria here: http://shannonselin.com/2014/02/napoleon-ii-napoleons-son-king-rome/; and about Count Neipperg, Marie Louise’s lover (and, later, husband), here: http://shannonselin.com/2015/01/adam-albert-von-neipperg/. It’s good to know that Napoleon had some small appreciation of what his wife went through. Those 7 minutes of watching and waiting for his son to breathe must have seemed like an eternity. Thank you, Shannon, for this interesting piece of history. My pleasure, Anne. It struck me as quite modern that Napoleon was there throughout the birth, comforting and encouraging Marie Louise. It’s interesting that Napoleon reduces Méneval’s seven minutes to “at least a minute.” Or maybe it was the other way around! Thanks, Aviva. You’re quite right. [Napoleon] was still under the influence of the painful sight of the Empress’s delivery, and said that he would have preferred being present at a battle.